Jawbone Marine Sanctuary, Williamstown, Victoria. Photo by Vin Maskell. You gaze up at the sky. Glance back at the shore. Out to the horizon. You’re still surprised that this is what summer really means to you now. After all, this was never part of your childhood, of school days, of holidays. This was never on the back pages. Or on the telly. This was never, ever, on the radio, day after day after day. You knew you’d never be, say, Jacques Kallis. And yet, here you are being, in your own little way, Jacques Cousteau. 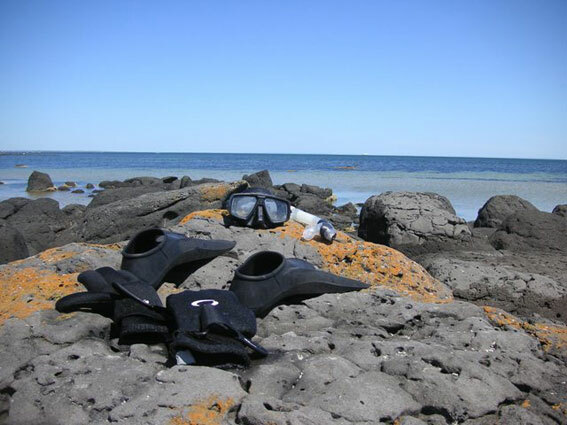 This entry was posted in Cricket and tagged Jawbone Marine Sanctuary, Victoria, Vin Maskell, Williamstown. Bookmark the permalink. I hope that as you walked up the beach you glanced at the scoreboard and shook your head just to let everyone know there’s no way that was out.